Nvidia on Thursday launched a new version of its flagship consumer graphics card. The Titan Xp, which replaces last year’s Titan X, carries the same $1,200 price tag albeit with a bit more performance on tap (at least, on paper). The Titan Xp packs a full-fat Pascal GP102 GPU featuring 3,840 CUDA cores with 12 TFLOPS of theoretical throughput (the Titan X and the GTX 1080 Ti have just 3,584 cores) and a boost clock of 1,582MHz (up from 1,531MHz). The 12GB of GDDR5X RAM (11.4 Gbps) has a 384-bit memory interface width and 547.7GB/s of bandwidth. The card carries the same 250W thermal envelope as its predecessor. You’ll need one 8-pin power connector and a 6-pin connector (in addition to what it draws from the PCIe slot, of course). 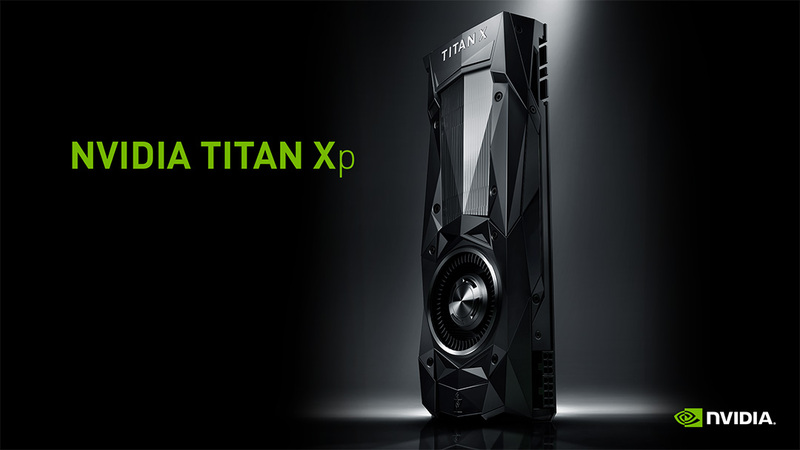 The new Titan Xp will no doubt be the new performance king. Nvidia says it generates up to three times faster performance compared to the Titan X (the 2015 Maxwell variant) but isn’t offering any hard numbers otherwise. For that, we’ll have to wait until the benchmarks start pouring in. Nvidia also said today that it will have new beta Pascal drivers for MacOS next week. It’s worth noting that said drivers will enable support for all GTX 10-series video cards, not just the new Titan Xp. The Titan Xp is available as of writing directly from Nvidia for $1,200 (limit two per customer). Your move, AMD.